Have you heard of the popular debate concerning the several types of mattresses? 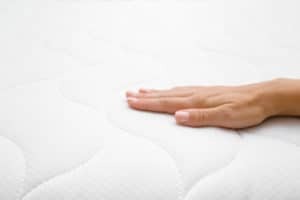 A comparison between a latex coil hybrid mattress and a memory foam mattress seems to intrigue experts and customers alike. Is latex actually better than memory foam, and what are the pros and cons to each? Here are a few things to know before you try them both out and to help you form your own opinion on the matter. What’s the difference between innerspring and hybrid mattress? Let’s dip into some interesting mattress history. An innerspring mattress system has been around since the 1930’s. 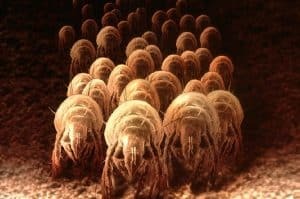 Although its contemporary rivals become more and more popular as time goes by, innerspring mattresses are still out there, and they still have their loyal supporters. As their name suggests, the core of these mattresses is made of supportive, but flexible coil systems. It ranges from Bonnell, offset, and continuous wire coils, to pocketed coils, (also known as encased coils, or Marshall coils). What many sleepers still prefer about these mattresses are their firmness and bounciness. As they absorb less body heat than their modern competitors, they feel a lot cooler to sleep on, which the, “hot sleepers” particularly love. On the other hand, innerspring mattresses are less durable, they don’t have the ability to conform to a human body and often feel stiff. They offer poor motion separation, and the spring system is often quite loud whenever motion occurs. It’s time to unravel what hybrid mattresses are. Hybrid is a word that denotes a combination of different elements, and when it comes to mattress production, it suggests the same. The hybrid mattress base is designed to offer the best the innerspring system had to offer, without the downsides. However, it also comes with a comfort layer above, usually coated with a fine layer of cotton. The comfort layer can be made of different materials, including latex, memory foam, polyfoam, and others. Hybrid mattresses are an interesting combination that captured a lot of attention and quite a few hearts. Just like the traditional innerspring versions, they offer stability and firmness, but with a twist that’s hard to resist: hybrids are a lot more flexible, giving in under a body’s weight, which makes them a lot more comfortable and good for the back. People who don’t enjoy sleeping on very firm surfaces embraced this mattress kind, as it seems to offer more perks than traditional innerspring mattresses. Latex vs memory foam: how to make the choice? As mentioned previously, hybrid mattresses come in several forms, one of which uses a comfort layer made of latex, and another which uses a comfort layer made of memory foam. Both types have their pros and cons, and it’s ultimately up to the consumer to decide which one makes the most sense for them. Here is a quick overview that can help you with your purchase. Keep in mind that both the natural and the synthetic latex are generally used to make comfort layers for hybrid mattresses, but in our comparison we’ll be speaking only about natural latex. When is it better to go with latex? Latex is a very durable, elastic material that behaves wonderfully under the body’s weight. It gives in slightly, conforming to the body’s curves and contours, and is generally more bouncy. Lying on a latex hybrid mattress feels comfortable, causing no feeling of sinking in or, “getting stuck” in the comfort layer, as is common with memory foam. Who is this material most beneficial for? The light, active sleepers who move around a lot are the best, “target audience” for this mattress type. It allows and absorbs movement very well, letting the active sleeper in the pair enjoy their sleeping style without bothering the partner who doesn’t move around actively during their rest. When does memory foam seem like a better choice? Memory foam, on the other hand, has its passionate supporters as well. It’s a material that offers more versatility, (there are mattresses made with gel memory foam, responsive memory foam, polyfoam etc. ), more compression, and slower response time. Memory foam hybrid mattresses are the best choice for sleepers who do not move around a lot, and who enjoy the feeling of sinking deeply into the fabric. This offers deeper compression support, as more sinkage equals out to more body contouring, which some sleepers prefer to bounciness. What is the best hybrid mattress for side sleepers? 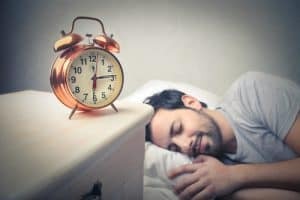 Why is it that we’re asking specifically about side sleepers? Side sleeping leads to generating significant pressure that concentrates in two particular parts of the body, the hip and the shoulder. If the mattress is too soft, a side sleeper’s body has insufficient support. On the other hand, a mattress that’s too thick leaves no room for flexibility, and the pressure on the two aforementioned body points intensifies. People who tend to sleep on their side, therefore, usually have the most trouble finding the right mattress. Whether a side sleeper is active during the night or not, a latex hybrid mattress is the safest choice for them in most cases. Of course, it takes some testing to figure out which firmness level is the one to go with, (soft, medium, or firm), but the general bounciness and flexibility that latex offers tend to be the most beneficial in this case. A memory foam could be a choice to consider, but its tendency to let the body sink in very deep wouldn’t offer the best overall comfort for a side sleeper, whose spine, shoulders and hips require more resistance and support. Is it time to buy a new mattress? If you are looking for a high-quality, comfortable and durable latex hybrid mattress with a coil system, make sure to stop by the Mattress Makers, the mattress-manufacturing family business with long-term experience in the industry. We are proud to offer you our finest, best-in-the-market products, as well as our knowledge that comes as a result of a successful family tradition and love for what we do. Your finest resting experience is our expertise. Not sure how to choose a mattress just for you, when your mattress needs flipping, or how to distinguish coil vs spring mattresses? Give us a call, or visit our showroom in Miramar, or further south in La Mesa! When I am asked about latex mattresses often times people are curious on the feel and the process on how a latex mattress is manufactured. It is funny to think you can you sleep on the same thing that is worn on the hands of doctors? A latex mattress in an all-natural rubber that … Read moreWhat Is A Latex Mattress?